With a crippling pilot strike averted (for now), Lufthansa says operations should be back to normal by Friday. 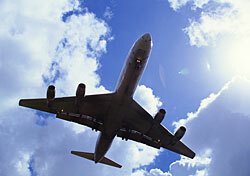 The pilots union has agreed to put off its strike until March 8 so the two sides can return to negotiations. For travelers scheduled to travel with Lufthansa between today and Friday, the airline still has modified schedules posted to its website here as well as an FAQ. As for the strike, Walther told CNN that he thinks the two sides will reach an agreement “pretty fast,” though he did not elaborate.